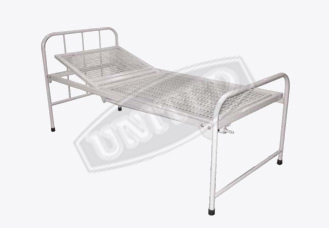 We offer hospital semi fowler bed fabricated from strong and precise steel tubes. 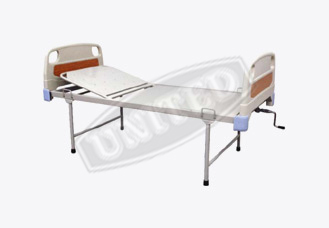 These beds have an adjustable back rest that can be maneuvered by crank mechanism from foot end. 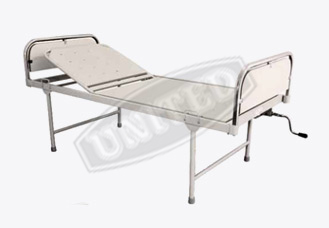 Our range of hospital semi fowler beds are available in epoxy coating finish at the most affordable prices. 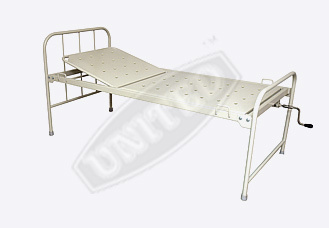 2 Section Top made of perforated M.S. Sheet. ABS moulded. Head & Foot Panels. SS Head & Foot Bows with laminated panels. 2 Section Top made of perforated CRCA MS sheet.